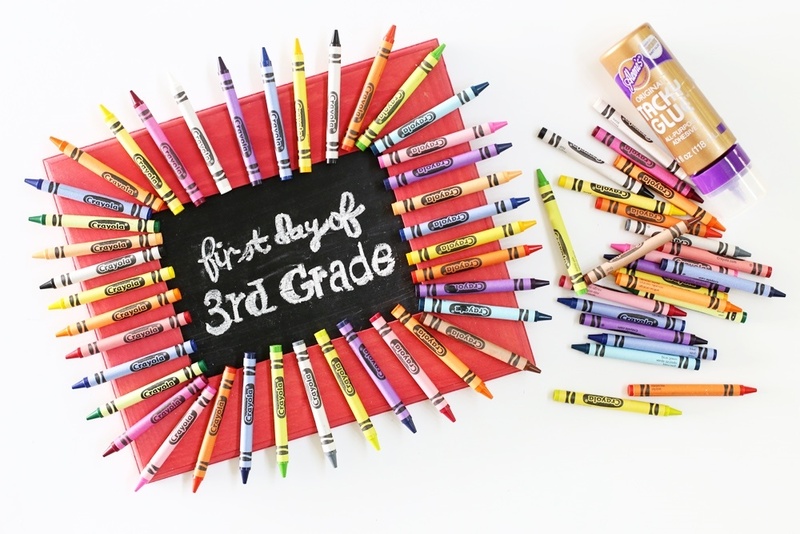 It's that time of year - Back-to-School is here!! 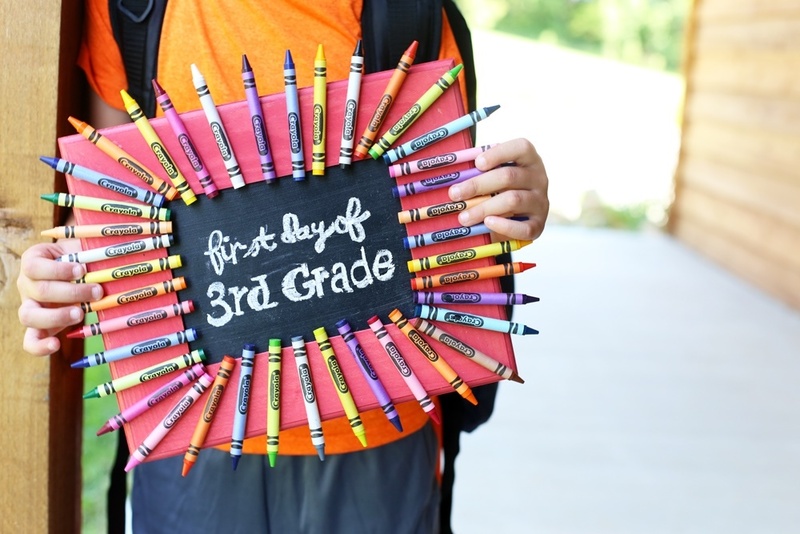 And of course you want to share all the excitement across your favorite social media, and you'll need a cute sign for that before-school pic ;) Today is a quick and easy tutorial to make this fun First Day of School Chalkboard Frame. 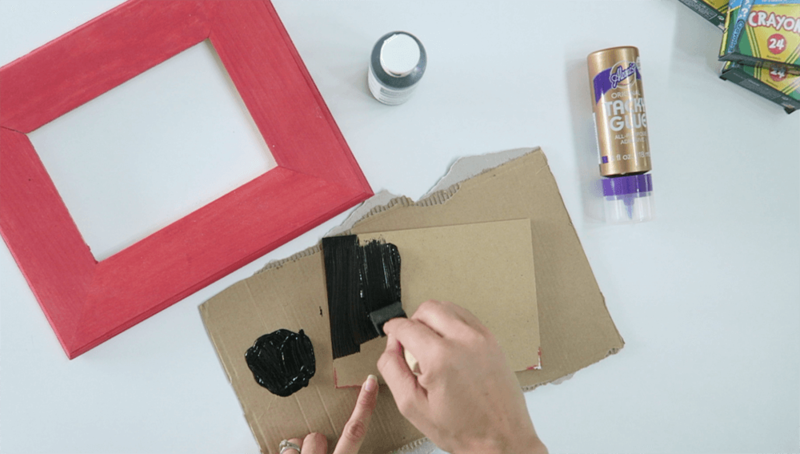 Paint the frame insert with chalkboard paint according to paint bottle directions. Let dry. 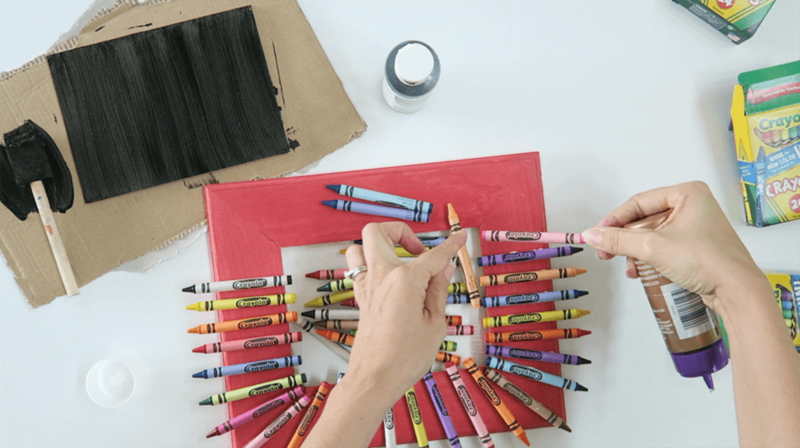 While chalkboard is drying, attach crayons to frame using Tacky Glue. 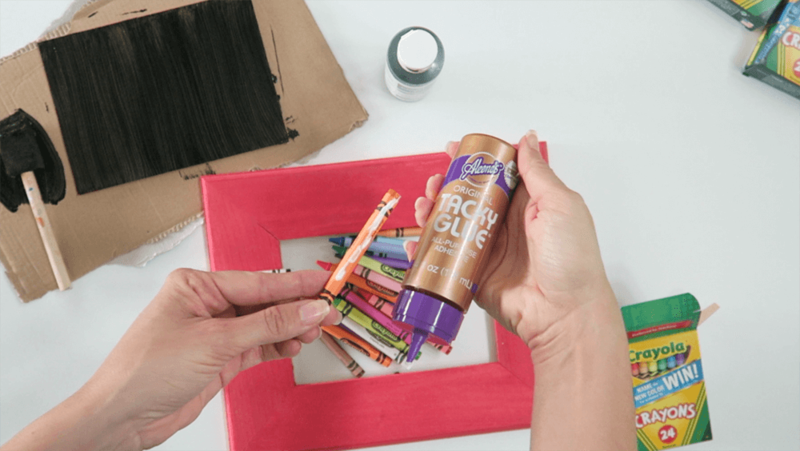 Place a line of glue along the seams of the crayon wrapper. Press crayon into place on frame. Work your way around the frame, adding your desired amount of crayons. Let dry. Place insert into frame. Write message with chalk. Can be reused again and again! 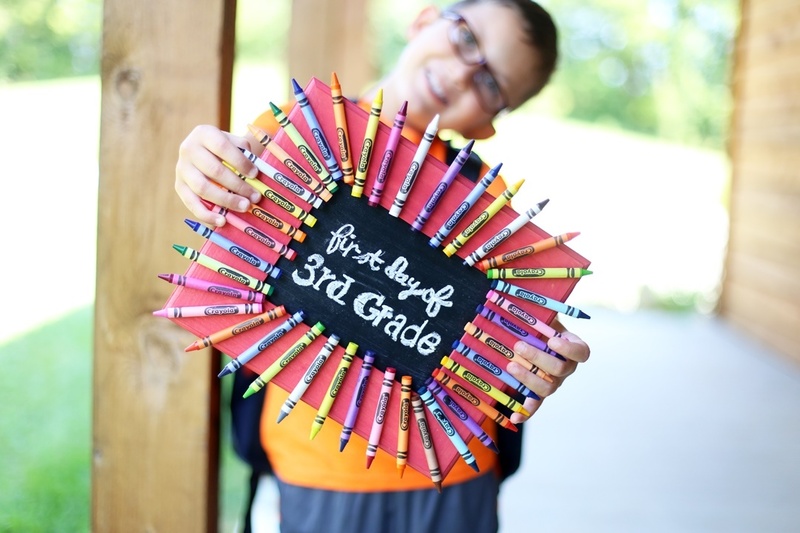 Take that perfect back-to-school picture and share with friends and family!